And in 2017 a new format was introduced with more prize money and even better organised events. 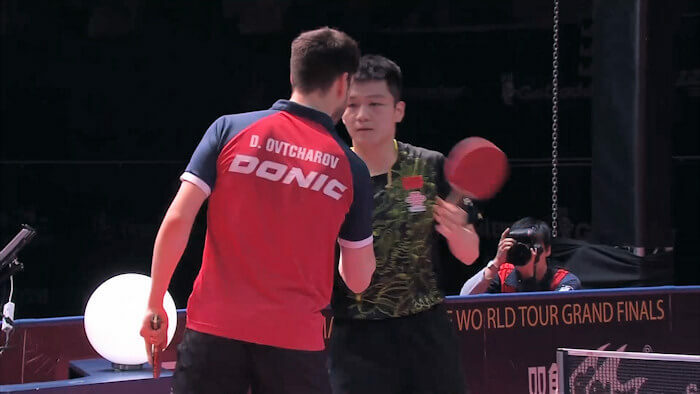 The World Tour now consists of two tiers plus the end-of-year Grand Finals, whilst the ITTF Challenge Series is separate from the World Tour. 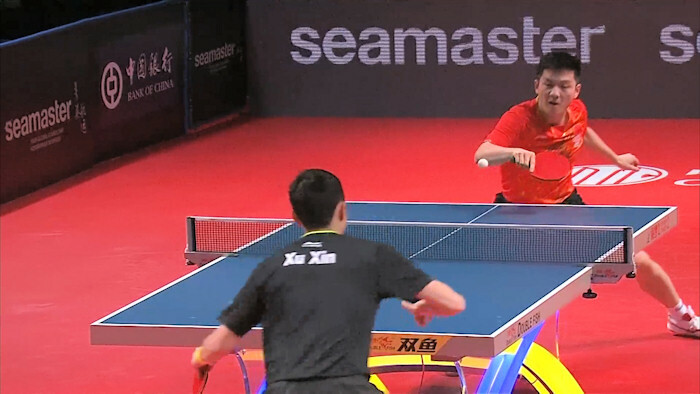 So how did the 2017 ITTF World Tour work? The 2017 World Tour consisted of two tiers of competition together with the end-of-year Grand Finals. The two tiers were the World Tour (maximum 6 events) and the World Tour Platinum (maximum 6 events) which fed into the end-of-year Grand Finals. The World Tour Platinum series events were allocated to the six best bids submitted by cities/affiliated Associations, whilst the World Tour events were allocated to the next six best bids. 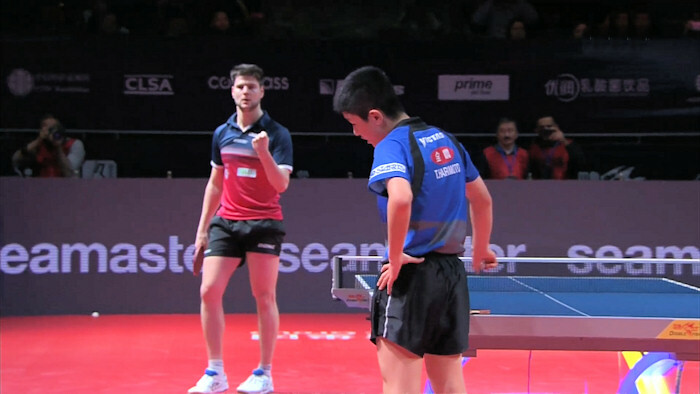 The Platinum tier attracts the best players and the highest media attention whilst the competitive ITTF World Tour featured both top players and the up-and-coming future stars. 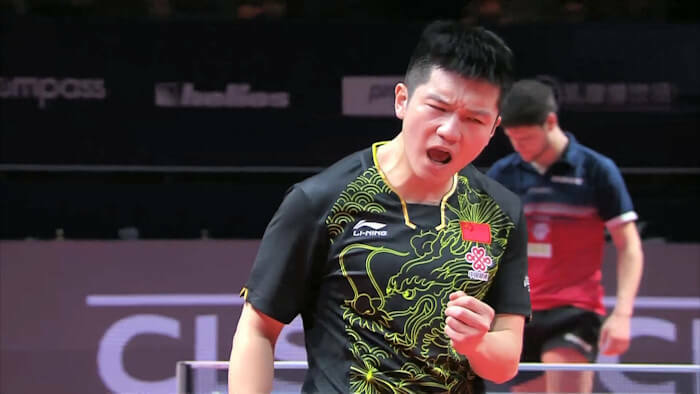 The World Tour Grand Finals consisted of the top 16 men and women players (singles & doubles) who earned enough points on the World Tour to qualify for the most important event of the tour - the exciting year-end finale. So how did it work in 2017? 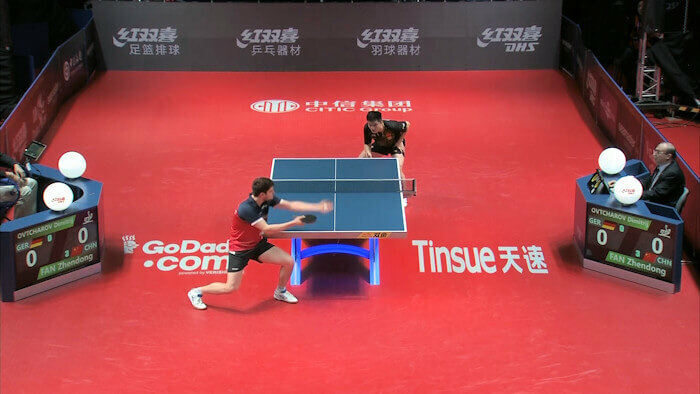 The ITTF World Tour was a Grand Prix series in which players competed in International Open tournaments around the world and earned grand prix points and prize money according to how well they performed. The best performers (who also met the qualifying criteria) were then invited to the end of year Grand Finals where a prize fund of US$1,000,000 was up for grabs. So what was different in 2017? 2017 saw the ITTF World Tour limited to 12 high quality events. 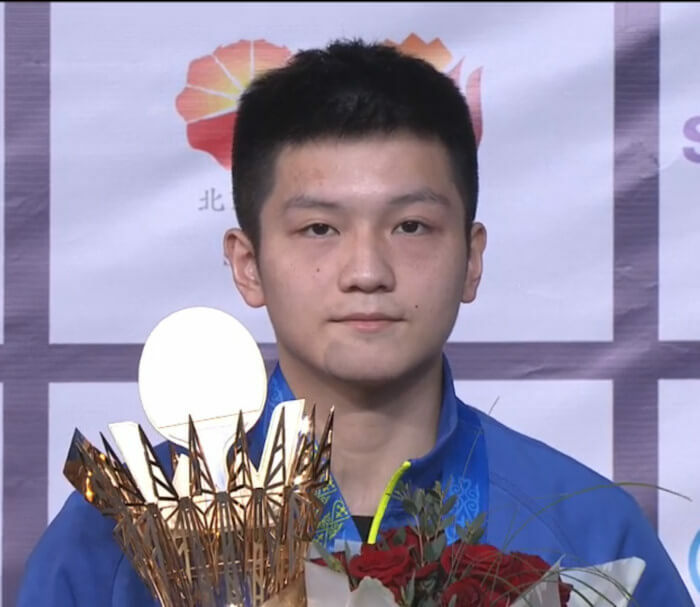 The top rated events were called the World Tour Platinum series whilst the regular events were named - ITTF World Tour. There were 6 Platinum series events and 6 regular events. The minimum prize money offered at each Platinum event was US$ 120,000 whilst the minimum prize money offered at each regular event was US$ 70,000. The men's and women's singles were limited to 32 players in the main draw, whilst the men's and women's doubles were limited to 16 pairs in the main draw. The Under 21s events (where played) were limited to 32 players in the main draw. The ITTF would also invite one man and one woman from the association hosting the 2017 World Tour Grand Finals if they have competed in at least 5 tournaments throughout the year. The top 7 men's doubles pairs and 7 women's doubles pairs who accumulated the most grand prix points, as a pair, and who competed in at least 4 tournaments. 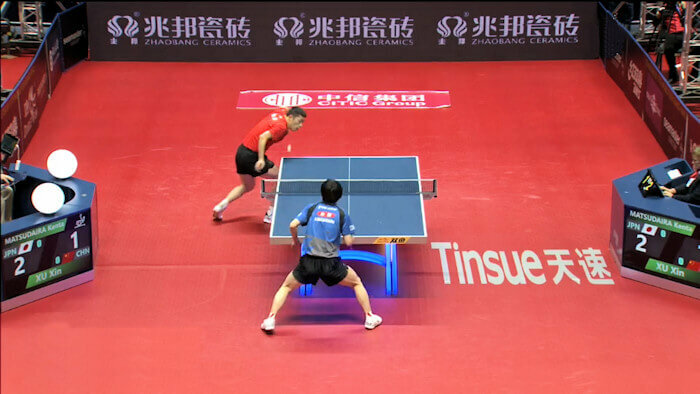 The ITTF would also invite one man and one woman doubles pair from the association hosting the 2017 World Tour Grand Finals if they have competed in at least 4 tournaments. I focus only on the Men's Singles (MS) events here. 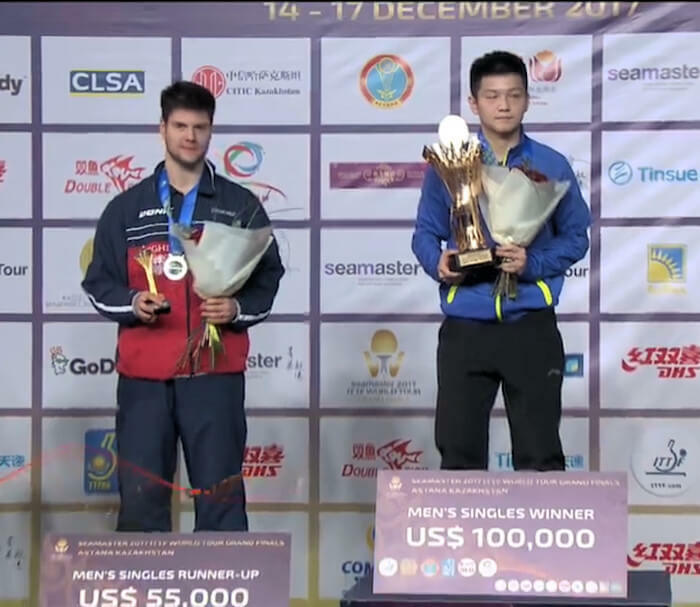 The ITTF World Tour Grand Finals were held from 14-17 December 2017 in Astana, Kazakhstan. Here is the list of the men who accumulated sufficient Grand Prix points and met the additional qualifying criteria of competing in at least five events (tournaments) and were therefore invited to take part in the 2017 Grand Finals men's singles event. Some players accumulated sufficient Grand Prix points but didn't compete in sufficient events to be eligible to take part in the prestigious end of season grand finals (N/E). The event were played on a knockout basis. The draw was made on 13 December 2017 at 15:00 hours.